You can’t fall asleep. And it’s not because you aren’t tired. It’s not even because your brain is too busy to allow you to relax enough to drift off. No, it’s because your partner is lying right next to you, snoring away. Of course there are plenty of other things that could be keeping you awake at night. If you live on a busy street, it could be the sounds of traffic passing right by your bedroom window. Or maybe you can’t fall asleep because the neighbors in the apartment next door seem to have their television turned up to the highest volume setting possible. If you’re traveling on a plane or train, the noise the other passengers are making could be keeping you from getting some shuteye. Noise is one of the top causes of sleepless nights. And the thing about certain sounds is that there’s often not much you can do about them. For example, you can’t magically stop your partner from snoring. You also can’t stop cars from driving by your house at night. So does that mean that you just have to just accept the fact that you’re going to be kept awake at night by loud and disruptive noises? Nope. That’s especially true if you use sleep headphones. Sleep headphones are designed to both block out and cover up any noises in your environment that could be keeping you from falling asleep. And they tend to do their job in two ways. First, sleep headphones try to block out as much noise as possible by creating a seal or barrier in or around your ears. 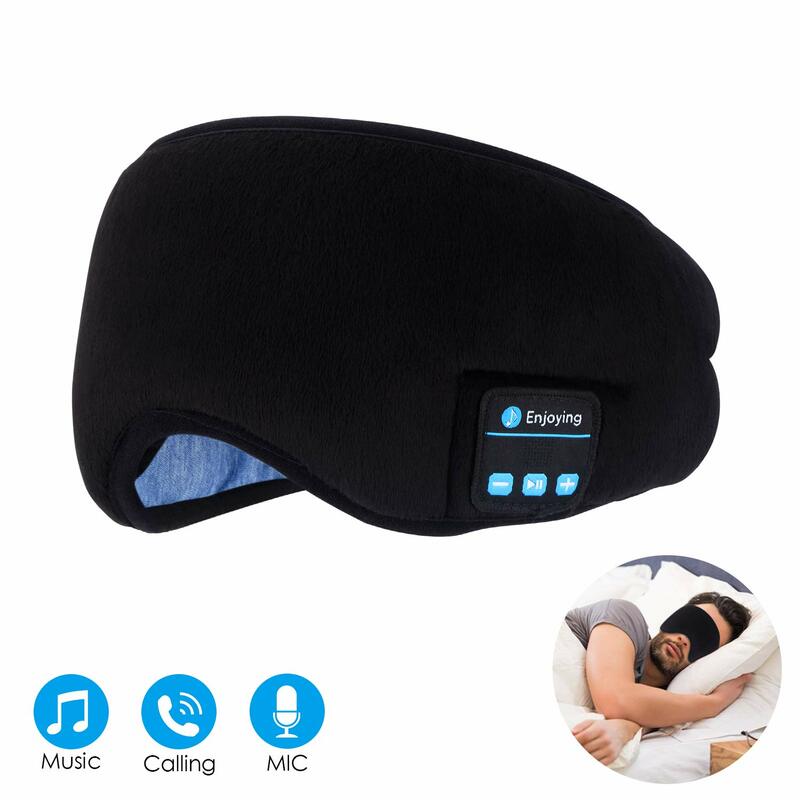 Secondly, the sleep headphones play relaxing sounds or soothing music that helps cover up or mask the disruptive noises that might be invading your room. 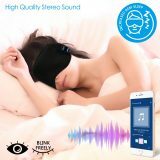 Some sleep headphones have the sounds or music built in. With others, you provide the music or ambient sounds by plugging the headphones into a device, like a CD player, an MP3 player, or a white noise generator. Maybe you’ve heard of noise cancelling headphones. The trouble with these is that they can be pretty uncomfortable to try to sleep in. 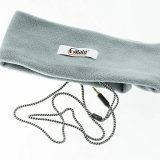 Most traditional headphones make it nearly impossible to sleep on your side without discomfort and pain. Even if you sleep on your back, the slightest movement can knock off a pair of traditional headphones. And, if you’re a restless sleeper, you could actually damage them, and end up having to buy a new pair. Sleep headphones are designed to be as comfortable as possible, whether you sleep on your back or on your side. These products also stay in place through the night, even if you’re a restless sleeper. And considering the beating these products can take, especially if you’re a restless sleeper, most sleep headphones are designed with durability in mind. If a noisy sleep environment makes it hard for you to fall asleep at night, or you’re such a light sleeper that even the slightest noise can wake you up, sleep headphones can be a real life saver. But even those who don’t usually have trouble falling asleep find that they drift off faster when using sleep headphones, especially when the headphones are playing relaxing music or sounds. Whether you want to drown out the sound of your partner’s snoring or you hope to be able to get more sleep during noisy plane trips, sleep headphones might be just what you’re looking for. But there are a lot of sleep headphones to choose from. Which ones are right for you? Here are our top 4 picks for the best sleep headphones on the market today. Up first are two higher end models. And picks three and four are good options for those looking for more affordable sleep headphones. One thing to keep in mind with the more budget friendly sleep headphones is that the sound quality isn’t going to be as good as what you’d get with higher end models. If you use the headphones to listen to your favorite music, the music might not sound quite as nice as it would with more expensive sleep headphones. Still, our bargain picks do what good sleep headphones are meant to do, and that’s block out noise so that you can get a better night’s sleep. So, without further ado, here are four of the best sleep headphones you can buy. 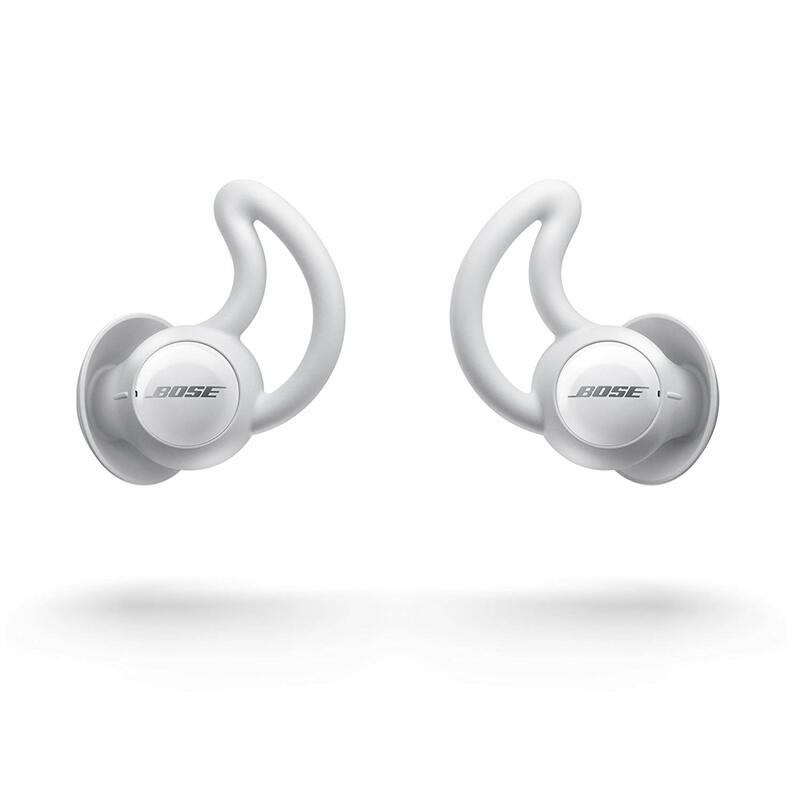 When it comes to noise cancellation technology, Bose is a familiar name. 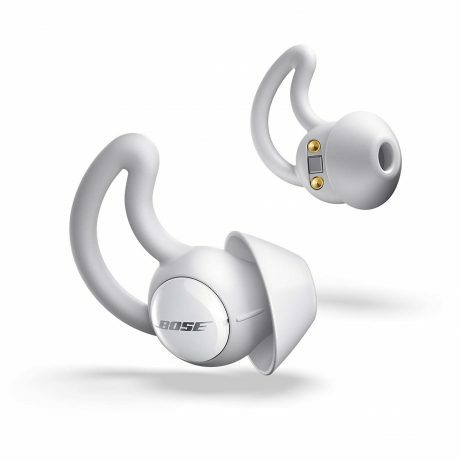 In fact, Bose was the company that first introduced noise cancellation technology. This is a popular brand known for making quality products that work. 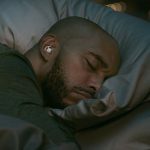 And Bose Noise Masking Sleepbuds continue the trend. While Bose is well known for their noise cancelling headphones, their research showed that sleepers actually benefitted more when soothing sounds were used to mask ambient noise. And that’s how the Noise Masking Sleepbuds were born. The Bose Noise Masking Sleepbuds were specially designed to drown out sounds that could keep you from getting a good night’s sleep. On top of that, your choice of soothing sounds will help you drift off into a peaceful slumber. Unlike the other products on our list, which are headbands that fit around your head, the Bose Sleepbuds are, well, earbuds. These earbuds were designed to fit perfectly inside the ear, and were engineered to be extremely comfortable. Bose Noise Masking Sleepbuds have a lot going for them. But here are the features that stood out to us. 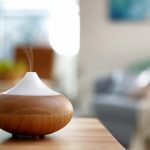 Not only do these sounds help to drown out any unpleasant noises that might keep you awake at night, but they also help you relax. Using the Bose Sleep app, you can choose the sound you want from the sound library. You can also use the app to adjust the volume level. Some people look at the Noise Masking Sleepbuds and assume they won’t be very comfortable to wear while sleeping. 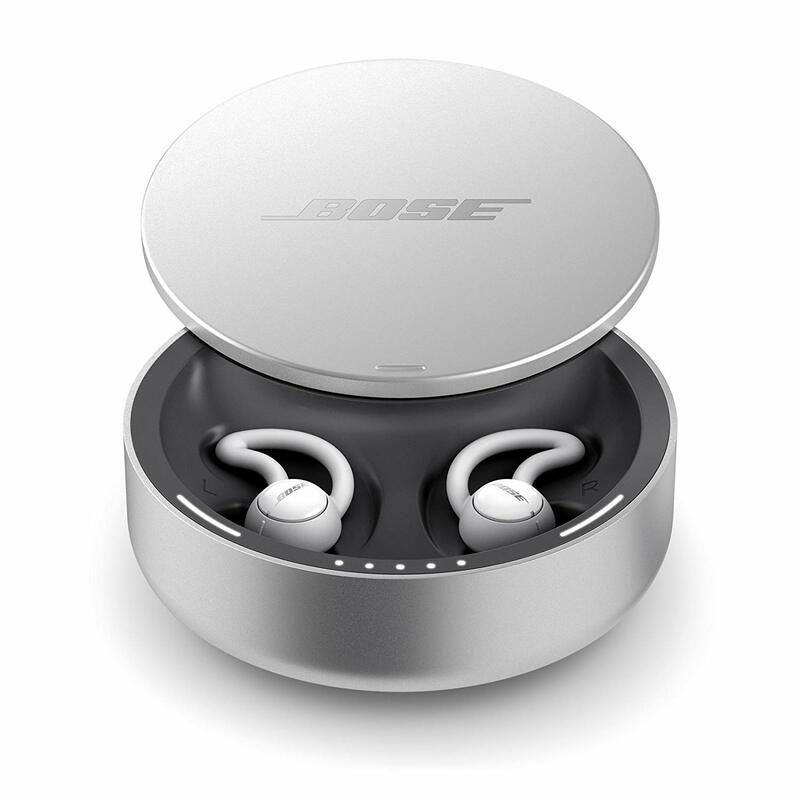 But the folks at Bose made sure that’s not the case. After an intensive study of ear geometry, they designed super small earbuds that fit comfortably inside just about any ear. Thanks to the product’s StayHear+ Sleep tips, these sleepbuds will still be comfortable after hours of wear. To make sure the sleepbuds will fit you perfectly, there are three eartip sizes (small, medium and large) included. 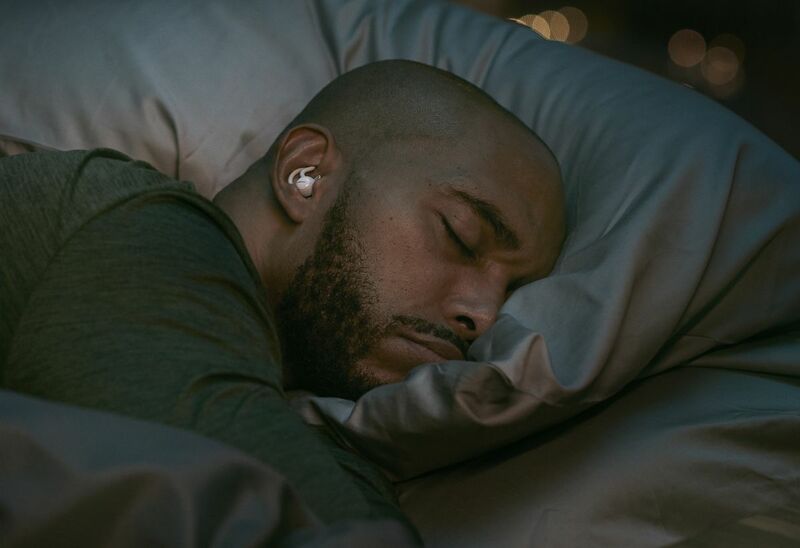 Not only will the right sized eartips be more comfortable, they’ll also ensure that the sleepbuds block out as much noise as possible. 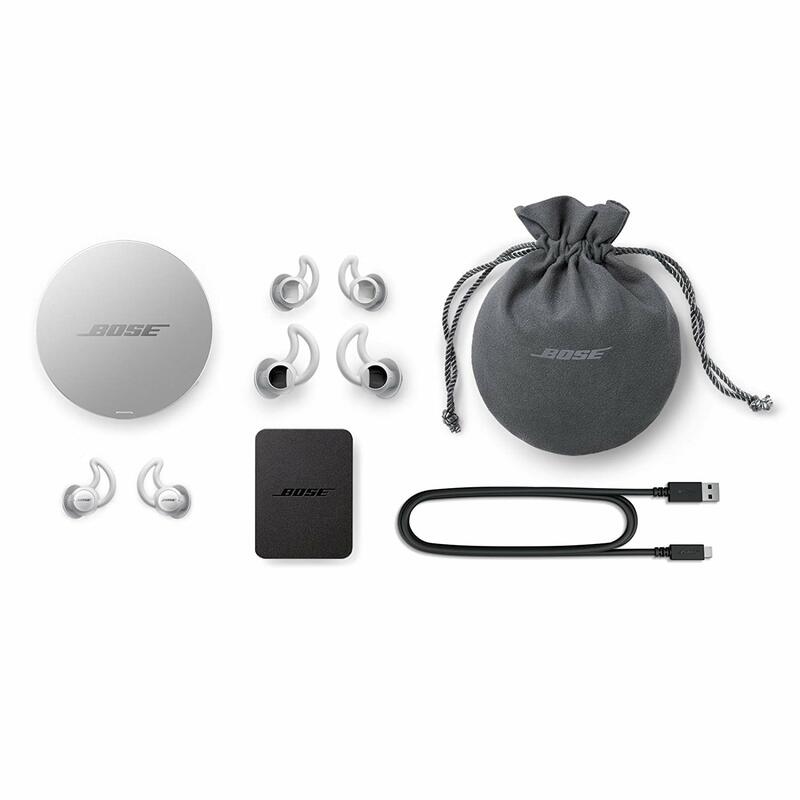 Bose Noise Masking Sleepbuds come packed with features. They are wireless, so there are no cords worry about. 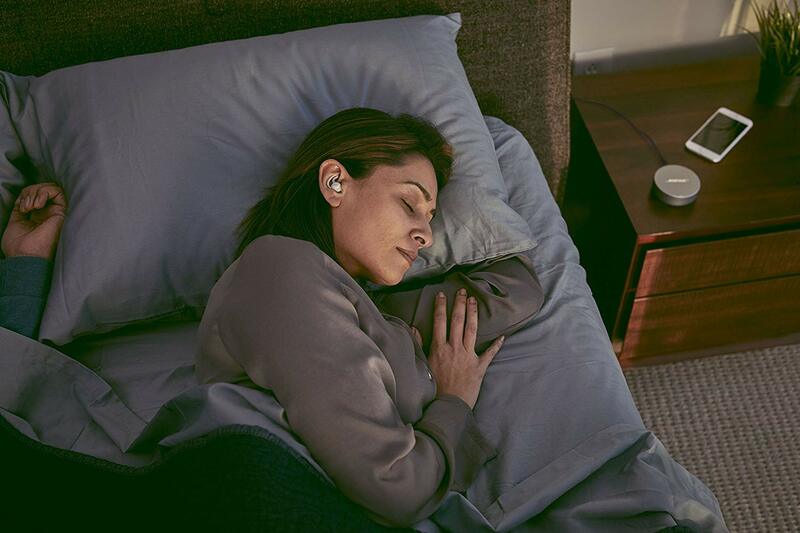 The soothing sounds you hear when wearing Bose Sleepbuds will cover up most unpleasant noises, even the sound of your partner’s snoring. The small, comfortable earbuds stay in place all night. 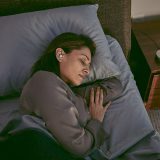 Even if you sleep on your side, you can wear these sleepbuds comfortably. You can choose from a library of relaxing pre-loaded sounds. 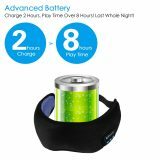 Includes a rechargeable battery that lasts up to 16 hours. Use the Bose Sleep app to choose the sound you want, how long the sound plays, and sound’s volume level. Includes a wake up alarm feature. Set it to your desired wake up time, and the alarm will sound at the time. And while you’ll hear the alarm, it won’t disturb your partner. Includes storage case. Your sleepbuds will actually recharge when they are inside the case. Works with devices that support Bluetooth Low Energy (a.k.a. Bluetooth Smart). While Bose Noise Masking Sleepbuds are a bit more expensive than some other sleep headphones, we also consider it to be among the best. If you’re looking for a quality product that’s packed with features, you can’t go wrong with these Noise Masking Sleepbuds from Bose. 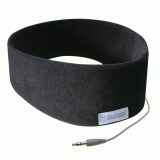 Anyone who has looked into sleep headphones has probably heard of SleepPhones by AcousticSheep. That’s because this has been a popular brand of sleep headphones for several years. 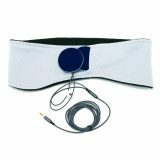 Developed by a family physician, the classic SleepPhones use sound to help block out unpleasant, disruptive noise, making it easier for you to fall asleep. 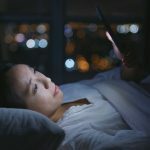 Why do we like Sleep Phones? When it comes to choosing sleep headphones, comfort is a top priority. And, according to AcousticSheep, SleepPhones are the most comfortably headphones for sleeping that you are likely to find. 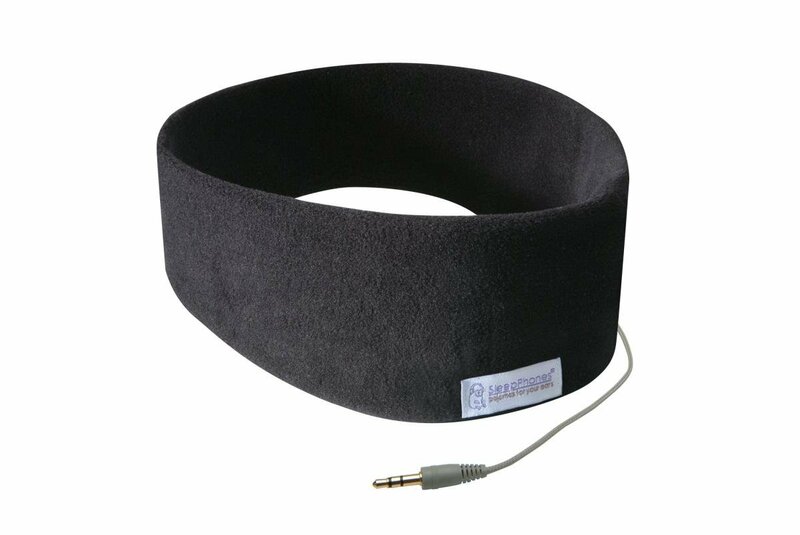 SleepPhones have a soft headband that fits comfortably around your head. And, unlike traditional headphones, SleepPhones won’t crush your ears. Even if you sleep on your side, you’ll find these sleep headphones comfortable to wear all night long. 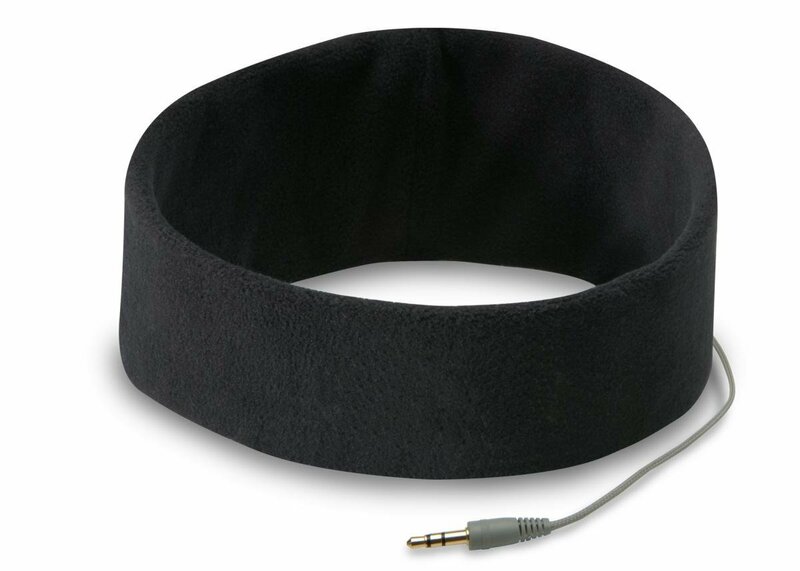 You can plug SleepPhones into just about any device with a 1/8 inch (or 3.5 millimeter) audio jack. 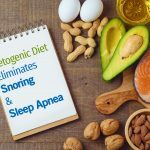 That means SleepPhones can be plugged into laptops, iPads, CD players, MP3 players, white noise generators, or even your TV. You can use your SleepPhones to listen to relaxing sounds to block out traffic noise, or the sound of your partner snoring. But you can also use these sleep headphones to watch TV without disturbing anyone else, or to listen to music while you are working out. The included cable is 4 feet long. Choose between two fabrics. 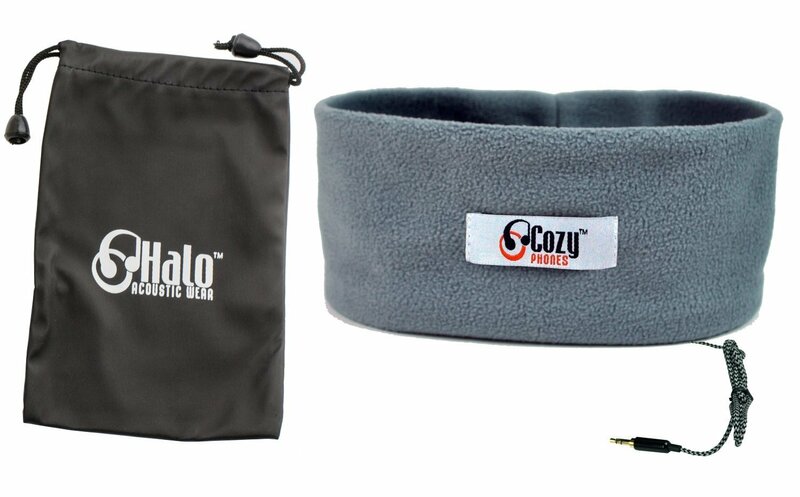 The fleece headband is extremely soft and comfortable. 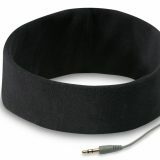 The headband made of Breeze fabric is equally comfortable, as well as being lightweight and moisture-wicking. No matter which fabric you choose, the washable headband of your SleepPhones won’t shrink or pill when washed. Includes volume and play/pause controls. Comes in several sizes, including XS, M (or Medium, the most popular size) and XL. While most people find that the Medium works perfectly well for them, it’s nice to have more options with the other two sizes. 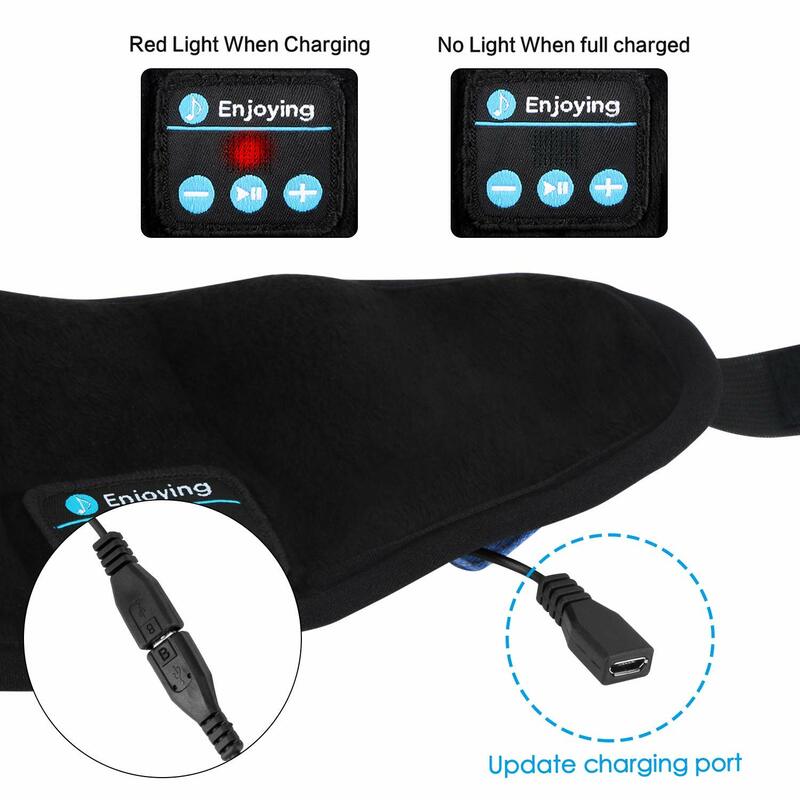 While these classic SleepPhones aren’t wireless, wireless SleepPhones with Bluetooth connectivity are also available. 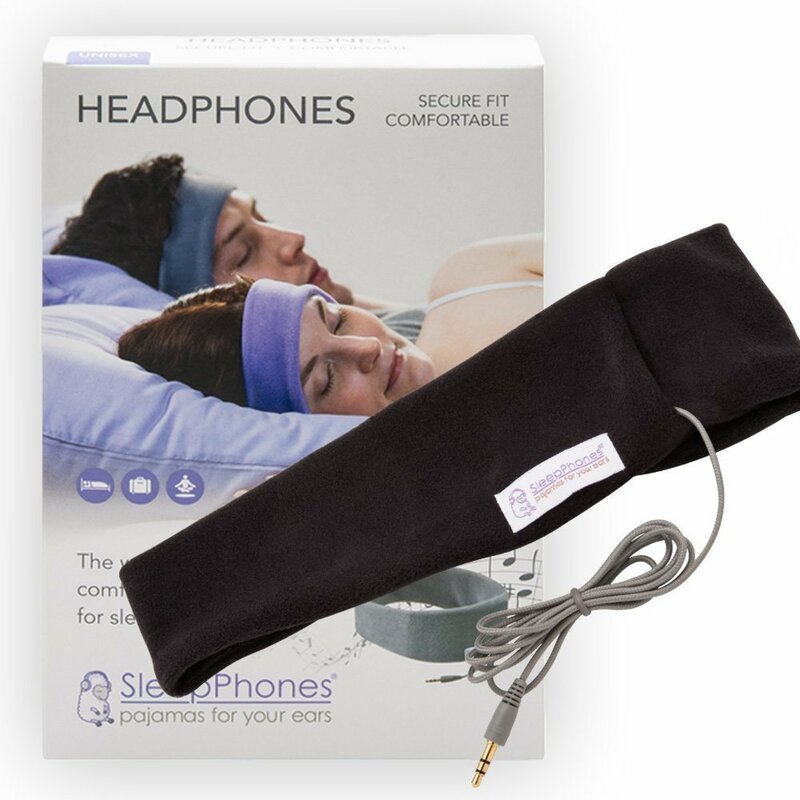 The AcousticSheep SleepPhones Classic Sleep Headphones are as comfortable as they are effective. And if you aren’t ready to buy more expensive sleep headphones, AcousticSheep SleepPhones are a good, mid-range alternative. For some people, disruptive noises aren’t the only thing that can keep them awake at night. They are also kept awake by the light from a TV, the streetlamps outside, or even the illuminated numbers on an alarm clock. Fortunately, our next pick can help take care of that problem, while blocking out unpleasant sounds at the same time. 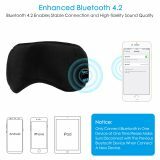 Bluetooth Sleep Mask Headphones combine a sleep mask and sleep headphones in one comfortable package. Here are a few of the things this product has going for it. 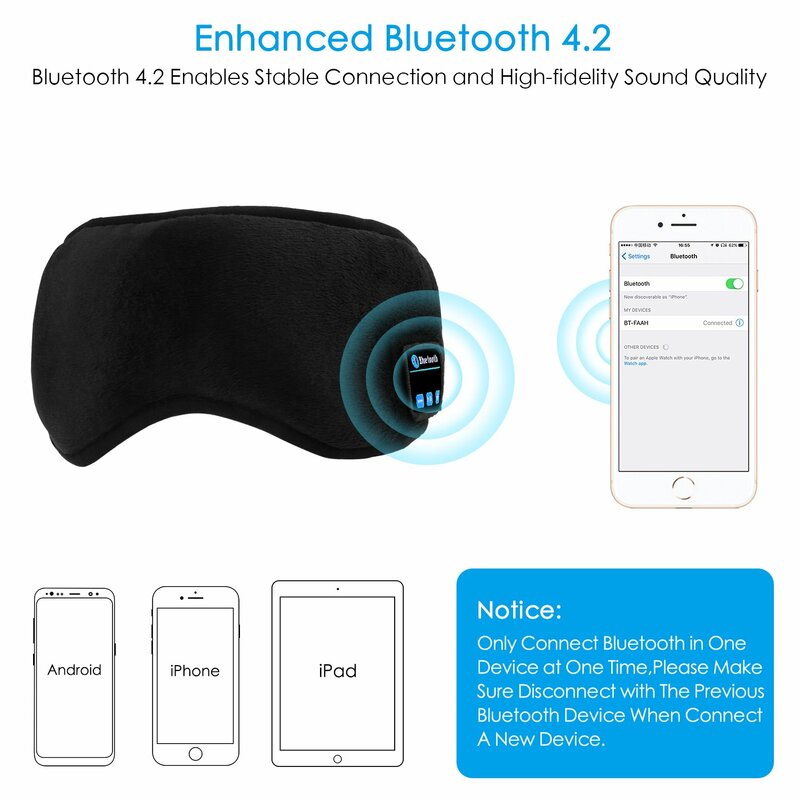 The Bluetooth Sleep Mask Headphones were designed so that even side sleepers can wear them comfortably. The speakers are extremely thin coming in at just 1/3 the size of most headphone speakers. The placement of the speakers can also be adjusted, so you can put them in a position that’s most comfortable for you. 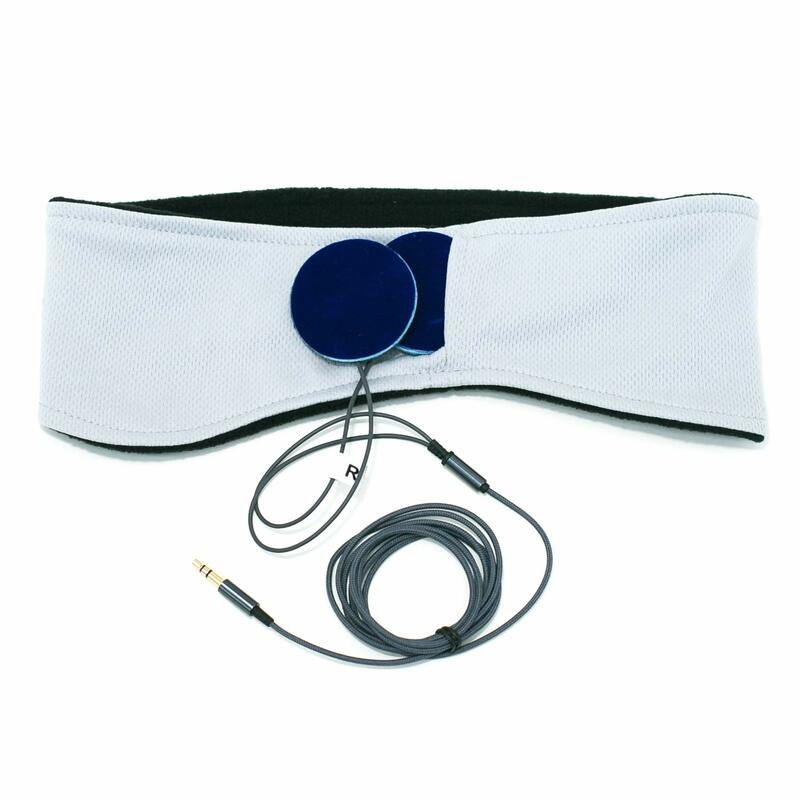 The Bluetooth module is placed at the front of the sleep mask, in the forehead area. 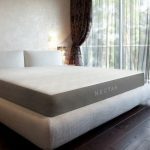 So whether you sleep on your back, side, or even your stomach, you won’t have to worry about the module being painfully squished between your pillow and your head. 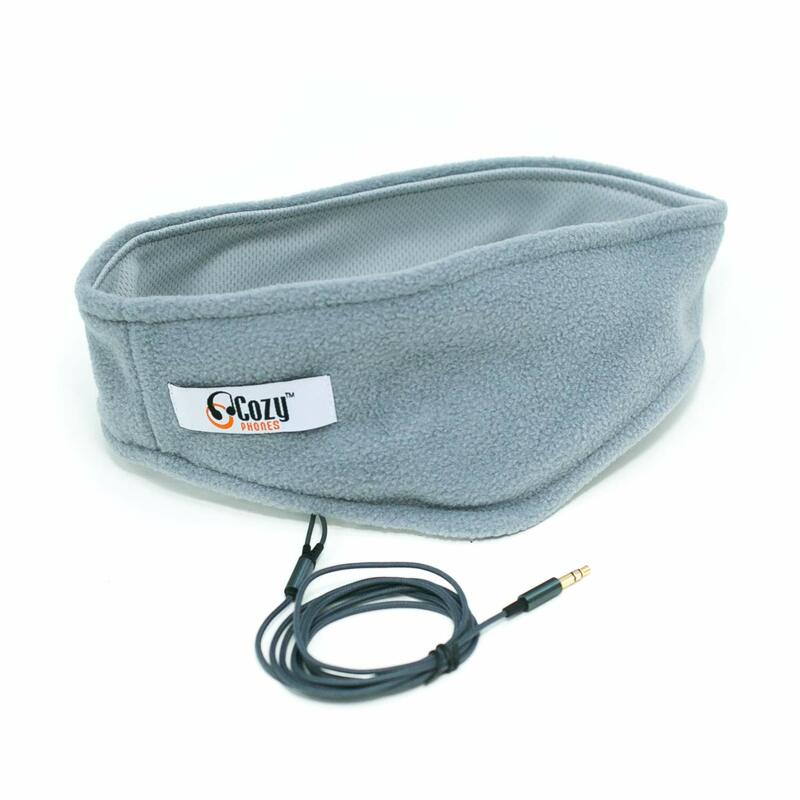 The Bluetooth Sleep Mask Headphones are made of a material that’s 95% cotton and 5% polyester. This makes for a fabric that’s soft to the touch, and won’t irritate your skin. The material is also washable, another plus. Just make sure to remove the speakers and Bluetooth module before washing. Here are some of the things we like about the Bluetooth Sleep Mask Headphones. They’re wireless, so you can sleep comfortably without any cords to worry about. An LED light lets you know when the battery is fully charged. 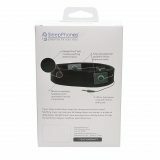 Provides HD high fidelity sound, for great sound quality. Adjustable, so it can fit heads of any size. Upgrade usb high performance rechargeable battery has a play time of 8 hours or more. And the battery recharges in anywhere from two to two and a half hours, fast for sleep headphones in this price range. Includes a portable pouch for storage and travel. 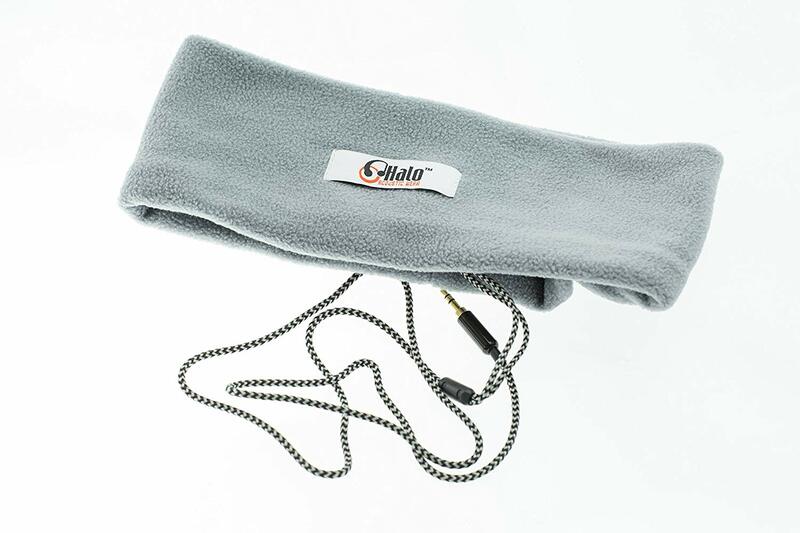 Many sleep headphones have a headband design, and can be pulled down over your face. 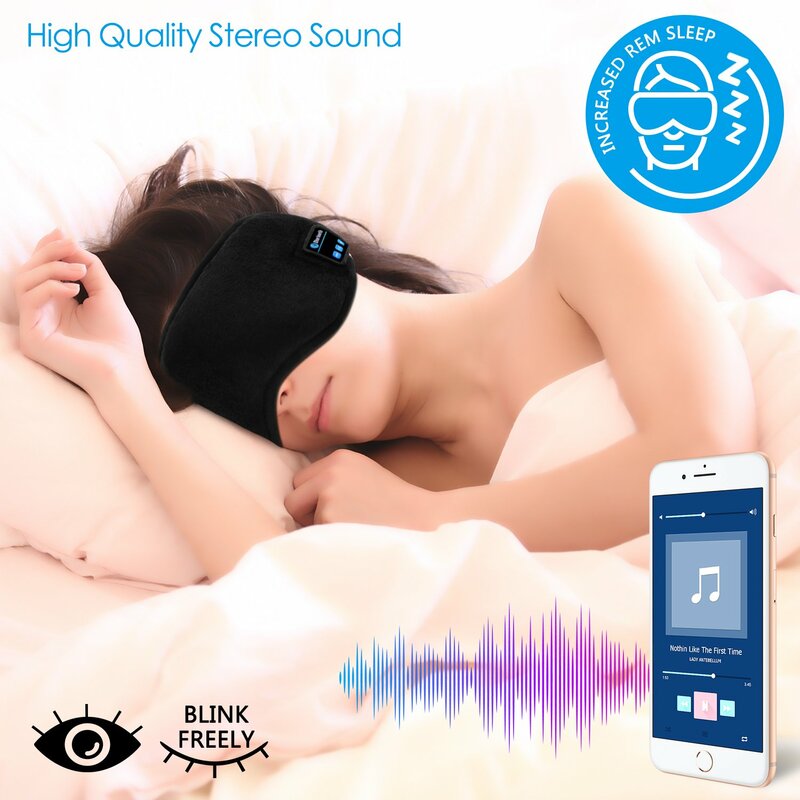 But if you want sleep headphones that are also a true sleep mask designed to comfortably fit the contours of your face, then the Bluetooth Sleep Mask Headphones are for you. Yes, CozyPhones Sleep Headphones block out noise, and help you sleep more soundly at night. But these sleep headphones are good for more than sleeping. You can also use CozyPhones to listen to your favorite music while working out, to an audio book during your daily walk, or to white noise while you meditate. CozyPhones Sleep Headphones have some great features, including one that’s pretty unique. Loud sounds can damage your hearing. Unfortunately, many people who use headphones often have the volume up too high without even realizing it. CozyPhones have built in volume controlled circuitry to keep the sound within 90 dB, the recommended safe level. This helps prevent damage to the inner ear or eardrum that could negatively affect your hearing. Some of the more affordable sleep headphones aren’t very durable. But CozyPhones Sleep Headphones were built to last. Thanks to their flexible and durable design, can twist them, bend them, and stretch them, and the headband won’t rip or tear. The speakers are ultra thin and removable. They are also cushioned, making CozyPhones even more comfortable. 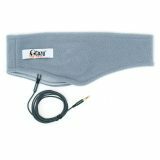 The headband is made of a soft fleece material that’s light and breathable. 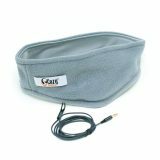 You can pull the headband down over your eyes to block out any light that could potentially disrupt your sleep. Includes a tangle free cord. The sturdy, 3.5 mm stereo plug will fit most devices. 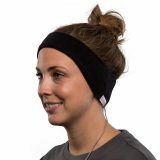 CozyPhones were designed to fit comfortably around your ears. CozyPhones Sleep Headphones are one of the most popular picks on our list, and it’s easy to see why. If you’re in the market for more affordable sleep headphones, CozyPhones are definitely worth checking out. 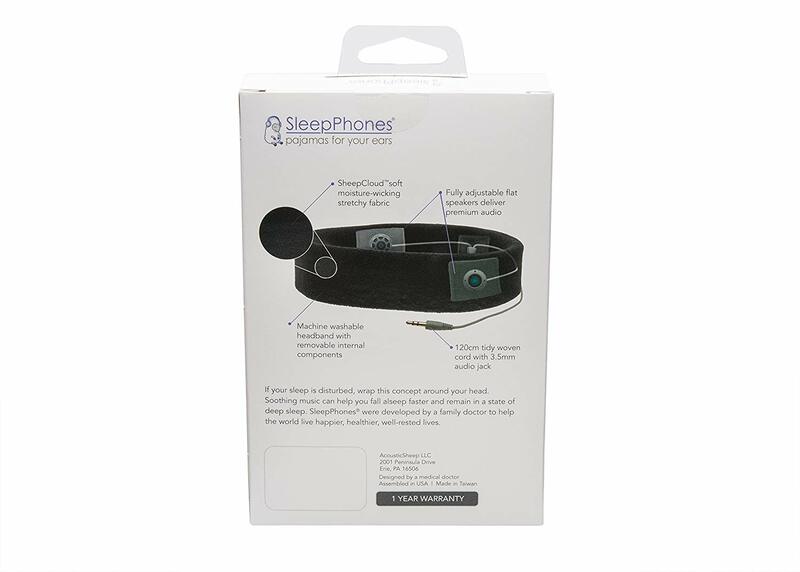 And if loud noises are keeping your child awake at night, CozyPhones also make sleep headphones especially for kids. So there you have it, our top picks for the best sleep headphones on the market today. No matter your budget, we’re sure that our list will help you find a pair of sleep headphones that are right for you. And rather than being kept awake at night by disruptive sounds, you can start enjoying hours of deep, undisturbed sleep. Sweet dreams.